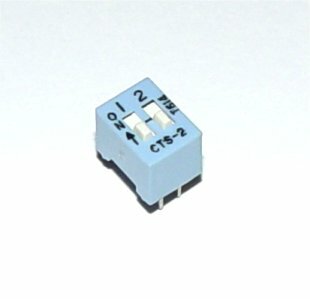 DIP Switch, 2 position. Standard 4-PIN DIP. Part marked with "CTS-2" and "T614".